Clogged arteries and circulatory problems are caused by the buildup of plaque in the arterial blood vessels. Although there are medications that lower cholesterol, some people prefer a more natural approach to remove plaque and lower triglyceride levels. Certain foods, supplements and herbs may be helpful in reconditioning the cardiovascular system and removing plaque from clogged arteries; some herbs have side effects, however. Consult a health practitioner before starting any new treatments. Add fish oil to your diet by consuming more fish, high in omega-3 fatty acids, or take daily fish oil supplements. 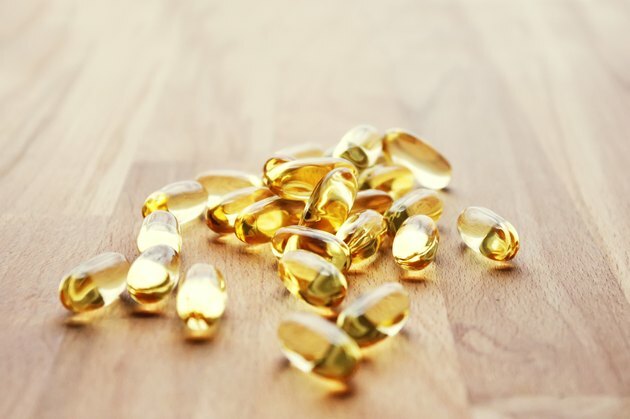 Fish oil promotes flexibility of the blood vessels, may slow the development of plaque buildup and help to lower triglycerides, according to the American Heart Association. Eat chocolate! According to the Journal of the American Medical Association, research indicates that eating about 1/2 oz. of dark chocolate daily may offer protection for the heart and lower blood pressure. Dark chocolate is high in phenols, nutrients that aid in keeping the heart healthy. Exercise daily to keep your cardiovascular system healthy. Vascular.co.nz explains how daily exercise for a duration of 30 minutes or longer may help lower the blood pressure and prevent hardening of the arteries or atherosclerosis. Make sure to speak to your health practitioner before starting any exercise program. Take Hawthorn extract to support the cardiovascular system. Hawthorn extract acts as an herbal tonic on the heart and vascular system and may lower blood pressure, release plaque from artery walls and reduce cholesterol, according to the "Green Pharmacy Herbal Handbook." Taking low doses of hawthorn over time may help prevent heart attacks; however, hawthorn should be taken only under the supervision of an herbalist or health practitioner familiar with using this herb. Eat salmon, mackerel, sardines and other fatty fish to obtain the highest concentration of omega-3 fatty acids. Exercise helps loosen plaque deposits in the blood vessels by increasing circulation. Vascular.co.nz recommends high impact exercise such as walking, running, swimming or bike riding. Hawthorn is also available as a homeopathic remedy called Crataegus oxyacantha. In its homeopathic form, hawthorn may also be used to benefit the heart and cardiovascular system. Use only under the supervision of a homeopath. Always consult a health practitioner before starting new treatments with herbs and other natural products, especially if you are taking drugs for your blood pressure or other heart medicines.